A Extreme Sailing tagged image from photographer – Karen Roe as published on Flickr. 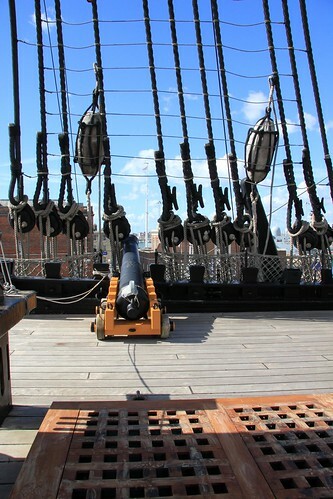 is currently undergoing a period of restoration and visitors have the unique opportunity to witness the process taking place on the oldest commissioned warship in the world and a proud memorial to Vice Admiral Lord Horatio Nelson, Britain’s greatest Naval hero and his stunning victory at the Battle of Trafalgar. Her topmasts and rigging have been struck, or taken down, and her planking is under investigation. This is nothing unusual as wooden ships like Victory needed constant care and attention from the day they were launched. These repairs are simply the latest in a long tradition of regular upkeep. • The world’s first iron-hulled, armoured warship powered by steam as well as sail. • The only surviving member of Queen Victoria’s Black Battle Fleet. • Four vast decks and feel what life was like as a Victorian sailor onboard a 19th century warship. • The recently opened sick berth, as seen on BBC1’s National Treasures Live! has intrigued for centuries. Since Henry VIII watched, in vain, as his favourite ship sank in front of him taking hundreds of the crew to a tragic end, through the quest to find, excavate, raise and ultimately save her for the nation – the story of Mary Rose continues to thrill. Action Stations brings the modern Royal Navy to you, our visitors. The National Museum of the Royal Navy is one of the country’s leading maritime museums. Ellis Beach Series 1. – NOMINATE NOW !! !